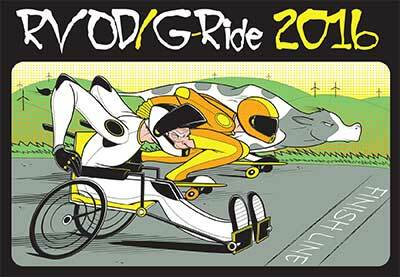 Maryhill Ratz and Skate School are teaming up for a Skills and Race Camp during this years G-Ride. Skills Camp will start on Friday evening June 17th and continue throughout the weekend G-Ride, with on course coaching, a timing system and difficulty options for different skill levels. Less experienced riders will have a chance to learn the skills they’ll need them to ride the Loops road from the top by the end of this 3 day camp. In honor of Ryan Vanderveen, we want to bring awareness to depression and other mental health issues that someone you know, if not yourself, is suffering from. You are not alone and do not be afraid to seek help where ever you can. You may know someone, maybe someone very close, who took their own life this last year and we would like very much for that to not happen again. For the first time the Ratz and the Skate School have teamed up to offer the first Maryhill skate camp! Entry will be determined but will include coaching on the hill Friday June 17, admission to the freeride and tune up coaching sessions throughout the weekend. There are no refunds! Please be sure you can go before you register! This years event, the hill will be prepped for the race. This includes more hay bales and sponsor banners to give the riders a chance to see what it would be like to actually race the hill.